Acrok provides the best Blu-ray solutions, convert, backup, copy Blu-ray on Mac and Windows easily. Acrok Blu-ray converter is mainly designed to help you backup Blu-ray discs on your hard drive, make it possible to encode Blu-ray disc movies to your desired HD or SD media formats, and edit Blu-ray files for your reference. What’s more, based on the latest NVIDIA CUDA (Windows) technology and its advanced video and audio sync technology, the professional Blu-ray converter software makes it possible to get the converted BD files at highest speed possible without audio out of video problems. Acrok Blu-ray Converter/Blu-ray Converer for Mac gives you the best user experience in Blu-ray solutions. Convert Blu-ray to MP4/MKV/MOV/WMV/FLV/M4V for playing on any devices, including tablets, smartphones, HDTVs, HD media players etc. How to convert Blu-ray via Windows Acrok Video Converter Ultimate? Convert BD disc, Blu-ray M2TS movies to MKV, AVI, WMV, MP4, VOB, FLV, 3GP, MPG, MOV, etc with selected forced subtitle and audio track languages. Plan to get a best Blu-ray ripping software in 2019? You need to read Top Blu-ray Ripper Reviews here. I think you can get what you want. How to convert Blu-ray movies on Mac? If you like the quality and features of Blu-ray, and want to be able to watch discs on your Mac or convert them to other formats for viewing on other computers, all you need is a bit of hardware and software to make it all possible. Download the best Blu-ray Ripper for iPad, rip Blu-ray to iPad supported format for watching. How to watch Blu-ray movies on Galaxy S9 Plus? Want to watch Blu-ray movies on Galaxy S9 Plus anywhere you go? Now just follow this article to convert Blu-ray to Galaxy S9 Plus supported formats. With free Surface Pro 6 Blu-ray player, you can rip and convert Blu-ray to Surface Pro 6 best playback format with fast speed. With top Blu-ray tp Google Pixelbook Converter, you can rip and convert Blu-ray to H.264 MP4 for playing on Google Pixelbook smoothly. PlayStation Blu-ray Solution: Wan to play Blu-ray movies on PS4, PS4 Pro or PS5? Please rip and convert Blu-ray to PlayStation supported formats before copy them to USB drive or stream via Plex Media Server. Here you will find the easy way to rip Blu-ray to iPhone 8, iPhone 8 Plus and iPhone X supported formats so that you can enjoy your Blu-ray movies on iPhone 8/8 Plus /X with ease. Are you puzzled on how to put Blu-ray on Surface Go? Read this article to know the easiest way and free way to convert and transfer Blu-ray to Surface Go quickly. Facing problems importing Blu-ray to Avid Media Composer for further editing? Read on this tutorial to learn the detailed Blu-ray and Media Composer 7, 8, 2018 workflow. With Blu-ray to Galaxy S9 Converter, you can rip, convert and transfer Blu-ray movies to Samsung Galaxy S9 for playing on the go. This tutorial will tell you how to rip Blu-ray movies to Galaxy Tab S3 supported formats so that you can play Blu-ray on Samsung Galaxy Tab S3 without any limitation! Rip Blu-ray to H.264 MP4 on Mac and Windows? This tutorial will recommend you the best Mac and Windows Blu-ray Ripper to rip Blu-ray to H.264 MP4 for playing and collecting. How to watch Blu-ray movies on iPad Pro? Want to get a Blu-ray player for iPad Pro? Acrok Blu-ray to iPad Pro Converter can give you a hand. If you collect Blu-ray discs in home, in order to avoid the favourite Blu-ray movie is scratched by naughty child, it's necessary for you to get a Blu-ray Ripper. The article gives you best Blu-ray Ripper program review during 2017-2018. For playing Blu-ray movies on Samsung Galaxy Book freely, Blu-ray to Galaxy Book Converter is necessary. With it, you can rip and transfer Blu-ray movies to Galaxy Book for watching. Many folks are facing the Blu-ray importing issues with After Effects CC, you can get After Effects CC Blu-ray Solution here. Convert BD disc for backup on your computer with best Blu-ray converting software ?C Acrok Blu-ray Converter that can remove copy protection and shrink BD files. How to watch Blu-ray on HDTV/Smart TV via USB? This article is to show you how to enjoy Blu-ray movie on HDTV/Smart TV in several ways. Convert Blu-ray to your HDTV supported video format, let you play Blu-ray on TVs via USB flash drive. How to transfer Blu-ray Digital Copy movies to Android tablet? Provide the best way of watching Blu-ray disc movies on your Android tablets. 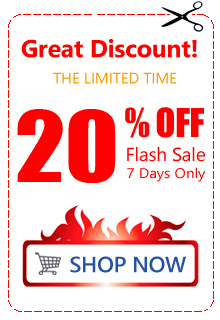 Such as Kindle Fire HD, Nexus 10, Galaxy Tab Pro, LG G Pad, Nook HD, etc. This article will walk you through the steps to import and edit Blu-ray movies with Avid Media Composer with the best editing workflow. How to watch Blu-ray movies on Google Nexus 9? You can try Acrok Video Converter Ultimate to rip and convert Blu-ray movies to Nexus9 video format on computer. Let you watch Blu-ray movies on Nexus 9 freely. With our top Blu-ray Ripper, you can rip and convert Blu-ray files to Premiere Pro CC best editing format on Mac and Windows easily. How to watch Blu-ray movies Apple iPad Air 2? With Acrok Blu-ray to iPad Air 2 Converter, you can convert Blu-ray to iPad/iPad Mini/iPad Air best video foramt on Mac or Windows. Please follow the simple guide to get the detail. How to import Blu-ray files into Final Cut Pro X? For editing Blu-ray files in FCP X on Mac, you need to convert Blu-ray to Final Cut Pro compatible video codec and foramt. Acrok Blu-ray to FCP Converter can convert Blu-ray to ProRes MOV for you. How to play Blu-ray disc on Windows 10? Acrok Video Converter Ultimate is the best free Blu-ray Player software for Windows PC to play Blu-ray files. If you want to watch Blu-ray movies on Apple TV, Apple TV 2/3, Blu-ray to Apple TV Converter can help you rip and stream Blu-ray movies to Apple TV best video format. Bringing Blu-ray into Premiere Elements is simple! I will look at how to efficiently rip and convert your Blu-ray to Premiere Elements 2019 compatible format for editing smoothly. 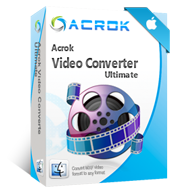 Acrok Video Converter Ultimate, Simple, Easy. Works with pretty much every type of file that you will come across. Once the conversion settings were set right it worked perfect.